There are many species of ants that are native to North America. Certain species have been introduced from other countries to combat another species, such as termites. Ants come in varied shades of black, brown, and red, and many aren’t much more than a nuisance that can be eliminated with pest control methods. The red imported fire ant (RIFA) is a major nuisance in many subtropical areas of the US, including southern and southeastern states, and California. Unlike other ants that invade your home looking for food, RIFA feed on young plants and seeds. The annual cost for crop loss, livestock loss and vet bills, and other agricultural damage due to RIFA is about $750 million annually. You're likely to find these fire ant nests in almost any soil, but they prefer sunny areas like pastures, parks, lawns, and fields. Sometimes they build nests in rotting logs. 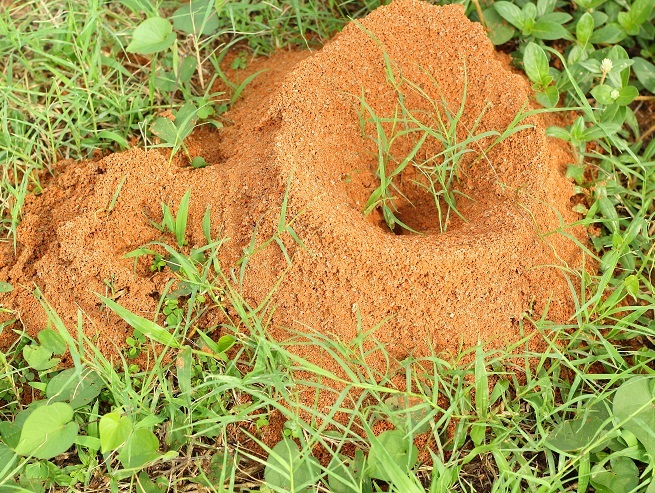 Fire ants have also been found in or under buildings. The invasive RIFAs are aggressive and have pushed native ants away from their nests. A RIFA dome-shaped mound can reach 1.5 m high, and 1.5 m in diameter. These fire ants have a nasty sting if you happen to step on a mound. The RIFA delivers a double whammy as it bites to get a grip on its target, then a toxin is injected with its stinger that feels like you are being burned by a flame. It’s best to call an outdoor pest control service when a nest is found in an area where they might interact with people, or in a pasture with animals. Fire ants have a copper brown head and a body with a darker abdomen. The red imported fire ant is more aggressive than most native species. If you’re unsure if you've found a fire ant mound, don’t take a chance on getting a painful sting. Call a local pest control to identify and exterminate the ants. 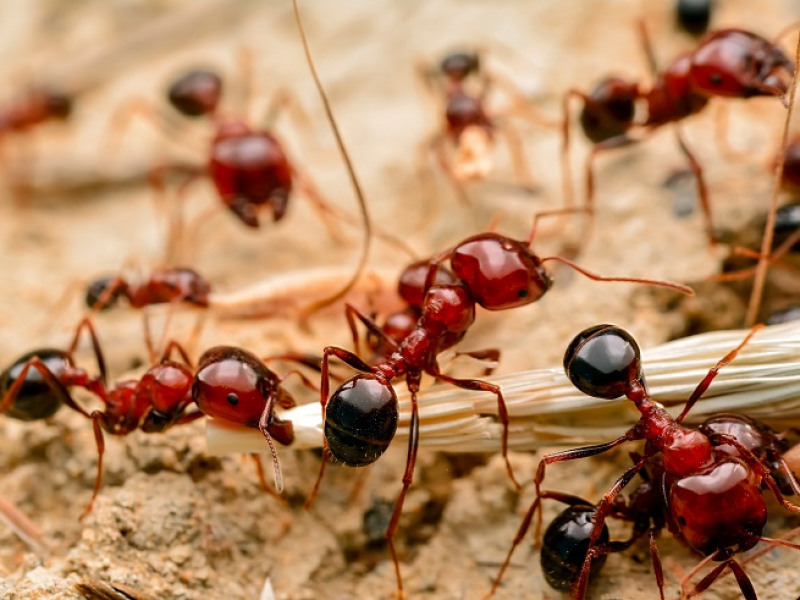 An organic pest control in Atlanta, GA, can exterminate the fire ant colony with environment-friendly products. If RIFAs have been found in the area where you live, it would be wise to call a pest control service to bait the area around your home to prevent colonization before it has a chance to get started. How Red Imported Fire Ants Came to the U.S. The United States is home to several indigenous species of fire ants. The Red Imported Fire Ant made its way into the U.S. during the 1930s. The port of Mobile, Alabama is one of the largest seaports in the U.S., receiving container ships from all over the world. There are also public and private terminals along the coast. It’s not hard to see how invasive species find their way to new parts of the world. The RIFA is believed to be the worst of all varieties of fire ants. Fire ants don’t hibernate, and many can survive extreme conditions such as floods, hurricanes, and extremely low temperatures. They multiply very fast and the colony recuperates quickly. Before you buy a new home in a state that is known for fire ants, you should have an inspection performed by a reliable house pest control service to ensure there are no colonies on the property. Prevent fire ants along with other pesky pests from invading your home by contacting Inspect All Atlanta today.